The installation process for this support ticketing system is easy. But if you are performing a fresh installation, it may require you to change a file name. I personally found this is not good enough where this should be done by the system not by the user. 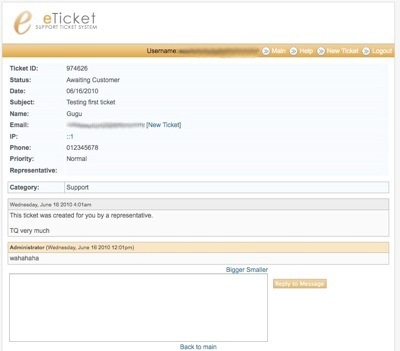 If your main requirement is to receive trouble ticket via email, this web based support ticketing system is just right for you. However, before you can receive the ticket thru email, you need to configure the email piping or receive email from a POP3 account. 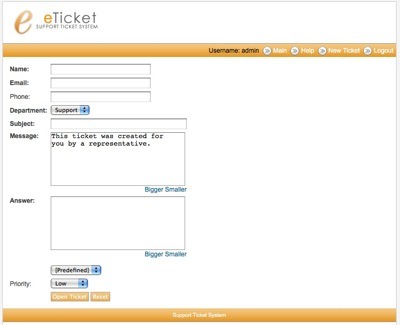 Once the configuration is done, user and support can update the ticket purely thru the email communication. This is what i like! 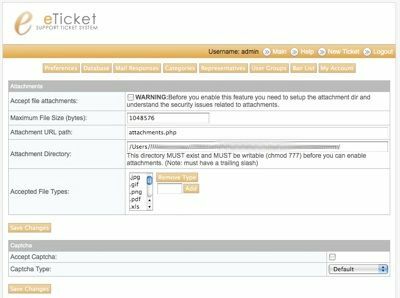 Furthermore, this support ticketing system allow you to configure different ticket category can fetch ticket from different email address. So it will auto put the ticket to it’s respective category. If this web based support ticketing system doesn’t suit your requirement, you may want to check out Hesk – the free php helpdesk software. This entry was posted on Wednesday, August 4th, 2010 at 2:10 am	and is filed under Free Helpdesk System. You can follow any responses to this entry through the RSS 2.0 feed. You can leave a response, or trackback from your own site.